Teacher’s Comments: A thoughtful, challenging course. Many courses bill themselves as “Championship” but in my mind, that appellation cannot be used until a course actually hosts a championship. 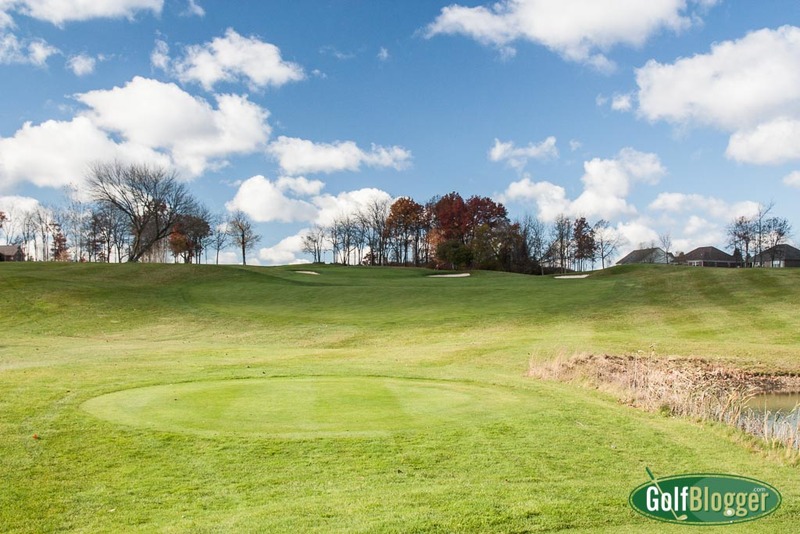 The Orchards has earned its laurels: The course has hosted the 2011, 2012 and 2013 Michigan Open Championships, the 2002 USGA National Amateur Public Links, Buick Open Qualifiers, US Open and US Amateur Qualifiers and the GAM Senior Amateur. It also has won a number of accolades from publications including Golf Magazine’s Top Ten New Courses in 1994 and the same in Golf Digest in 1995; America’s 100 Best Modern Courses in Golf Week in 1997. 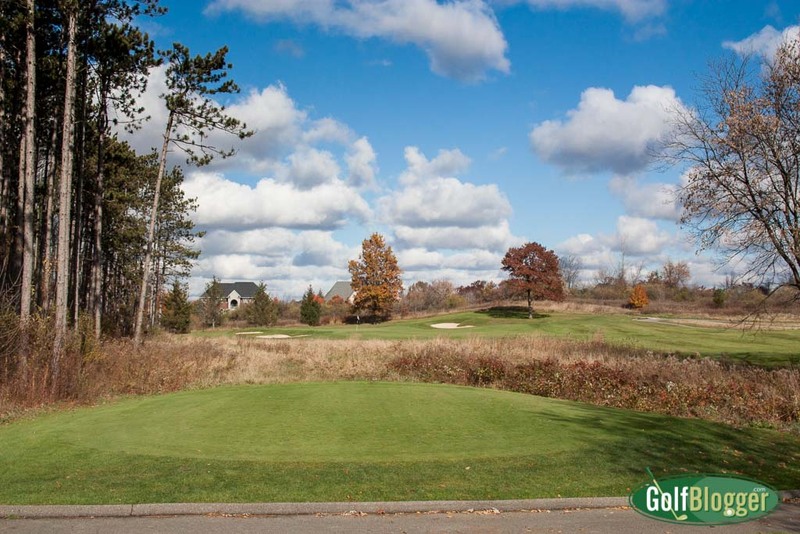 It was named #1 Public Course in Michigan by the Detroit News in 1997 and Number One Public Course in the Detroit Metro Area by the Detroit Free Press in 2005. 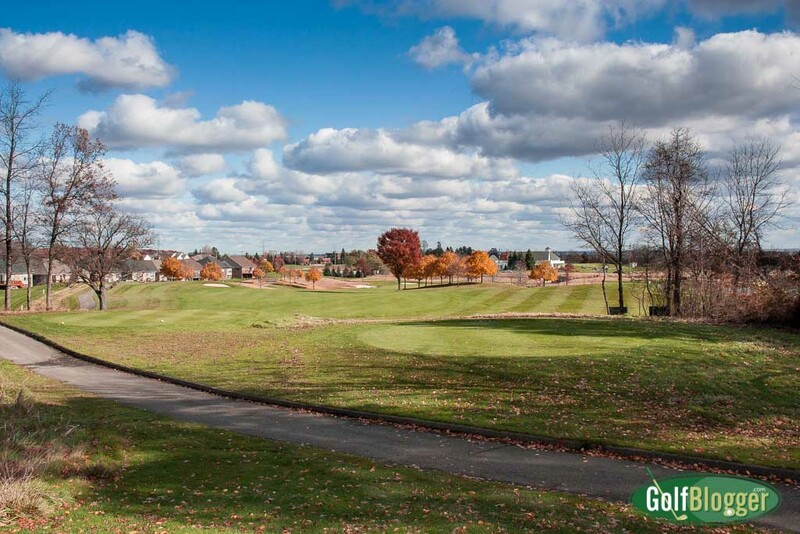 Located in Washington, Michigan, The Orchards is the centerpiece of an upscale golf community. As such, the look and feel are relatively predictable. Houses overlook much of the course as a constant reminder that real estate is its raison d’etre. 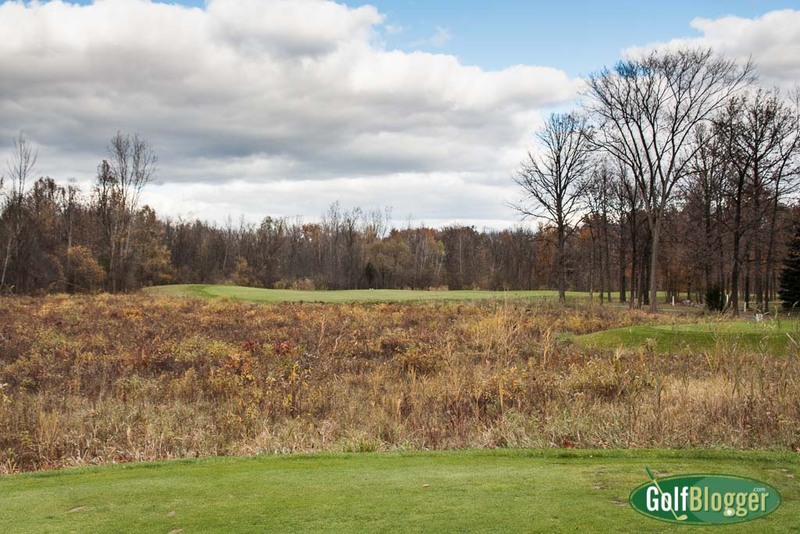 As with many Michigan courses, The Orchards has two relatively distinct nines. The front nine is mostly wood and marsh, while much of the back plays out over meadow. Because of the intrusion of housing, I would not call it a scenic course, but the green on ten and the seventeenth tees do offer rather nice vistas. 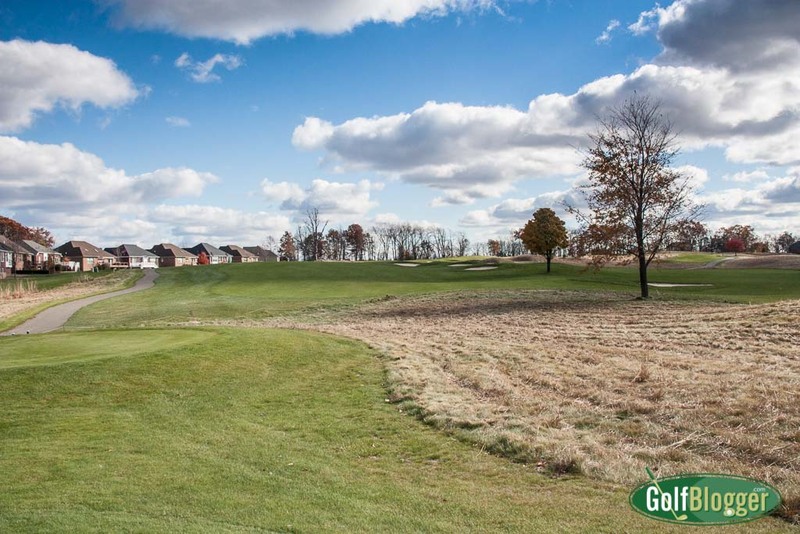 The good news is that The Orchards is a Robert Trent Jones II design and as a top notch architect, he makes the most of what he has been given. 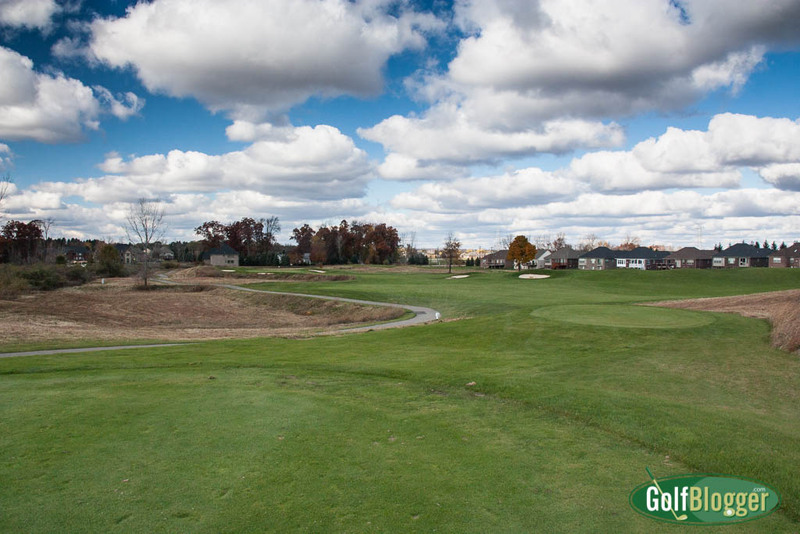 From the back tees, The Orchards is a very difficult course, clocking in at 7,036 yards and playing to a 74.5/136. Distance, angles, bunker position, prairie and marsh all are conspire to challenge championship level golfers. The bogey golfer has no business playing from the tips at the Orchards. The more forward tees are another story. Through good design, Jones managed to make the middle tees playable for mere mortals. The two middle sets are at 6,487 and play to a 71.0/129 or a somewhat easier 5,936 at 68.5/123. This reflects not just a change in distance, but in the dangers that are brought into play. 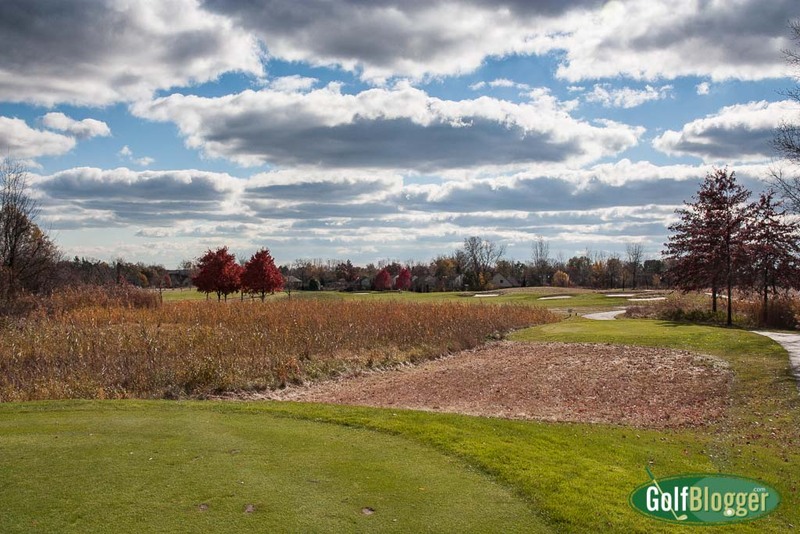 From these tees, bogey golfers at The Orchards should be challenged, but not overwhelmed. I found the principal difficulty was in navigating the 100 or so bunkers that spot the course. Off the tee a great many are perfectly placed to catch the unwary. I played several different clubs—driver, three wood, five wood—off the tee to avoid or blow past the threats. Use your brains and you can work through these. Jones’ bunkers are made more difficult in that they are often clustered in groups of three or four. On seventeen, my approach shot found a deep bunker short and left of the green. I launched a shot out of that—high to clear the lip—only to see my ball land in another nearby. I can easily envision someone taking four or five shots to get out of one of those bunker complexes. Avoid them at all costs. I felt lucky to find myself in only two. I appreciated the Orchard’s large greens with their open fronts. Well positioned tee shots (or second shots) will leave you with a variety of options on the approach. Because I do not generate a lot of backspin on my irons (although I do sadly produce a lot on my drives), my best bet is often to try to land a shot short of the green and let it bounce up. That worked very well for me at The Orchards. I played very well at The Orchards, posting one of my best scores of the season in spite of cold temperatures and windy conditions. I was pleased to find that this is a course which rewards thinking as much as shotmaking. My favorite holes were the combination of 16-17, which spoon against each other like lovers. Sixteen is a dogleg left, with bunkers and a hill on the outside of the bend. A pond is nestled into the inside curve. From an elevated tee, it rolls some 375 yards down and then slightly up again to the green. I missed my target on this one badly and ended up on the higher 17th fairway. I had put a lot of distance on the ball, however, and found that I actually had a nice angle and distance to the green. Seventeen is a dogleg right, with the inside curve bleeding over and down to the outer curve of the sixteenth’s fairway. 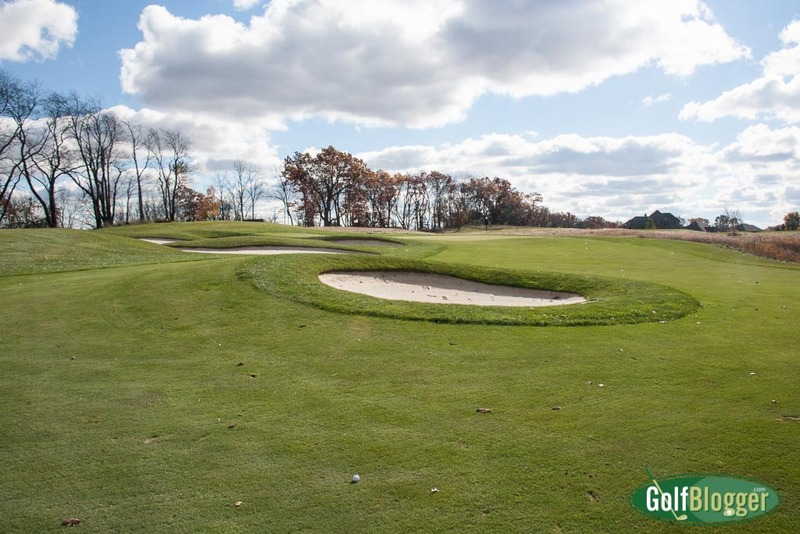 A nasty complex of bunkers sits in the middle of the fairway from 180 – 220 yards out, and an old oak on the outside curve will block the line of any shot too far to that side. In many ways, it really makes sense to play to the inside, right of the bunker complex and perhaps onto the sixteenth’s fairway. From there, you would need to lob the ball over a small grassy hillock, but that side of the green is open. The other—the approach line from the outside—is guarded by yet another bunker complex. Conditions at The Orchards—even at the end of a long season—were superb. The word from my friends who have played it on a more regular basis is that it is always in top notch shape. One story I’ve heard is that they only aerate half of each green at one time, putting the holes on the smoother half. I was more than a little annoyed with the course’s management, however. They started me on the back nine in the morning, and by the time I rolled around to the front and hour and fifteen minutes later, I discovered that they had subsequently been starting groups on the front. Making the turn, I actually had to get in line behind three other groups who were just starting. They were nice enough to let me through, but that is a total management failure as far as I am concerned. The Orchard is relatively expensive compared to other area courses. Summer rates are $60 midweek and $70 on weekends. In Michigan, those are resort course rates.